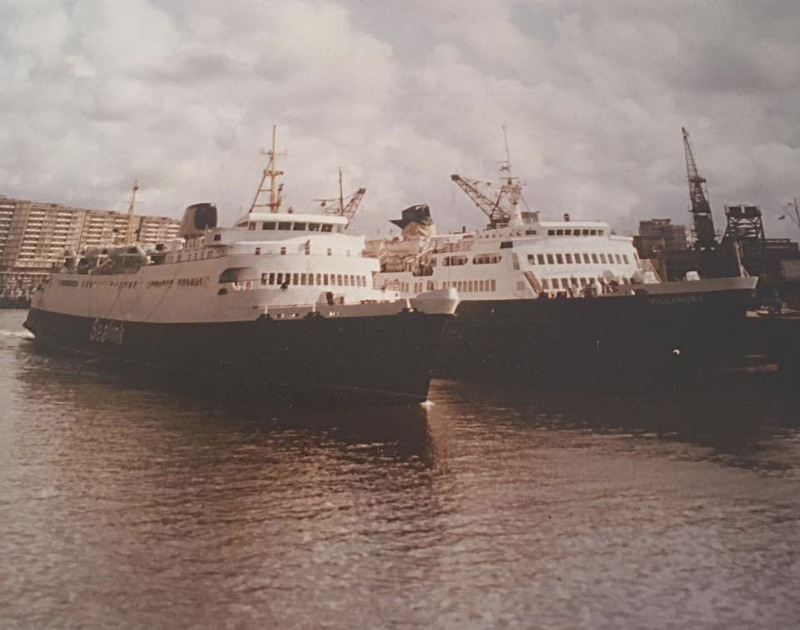 Steel twin screw motor vessel built in 1965 by Dubigeon-Normandie S.A., Nantes-Chantenay, France (Yard No 809) as a passenger and vehicle roll-on roll-off vehicle ferry, for S.N.C.F. 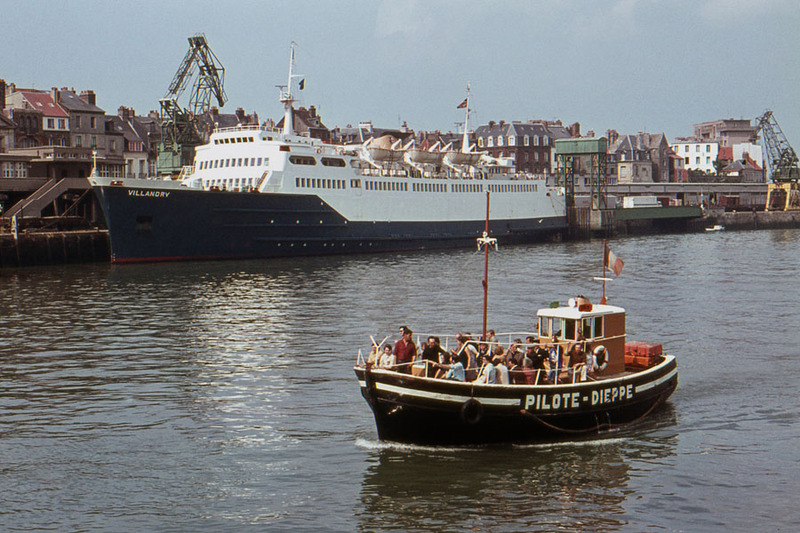 April 23rd 1965: Left Nantes for fitting out in Brest. 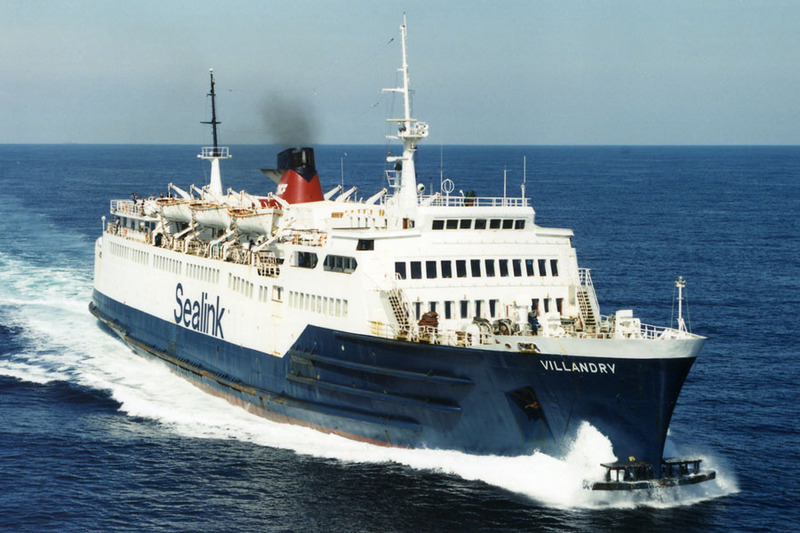 Re-routed owing to engine problems during her initial trials off Ushant. 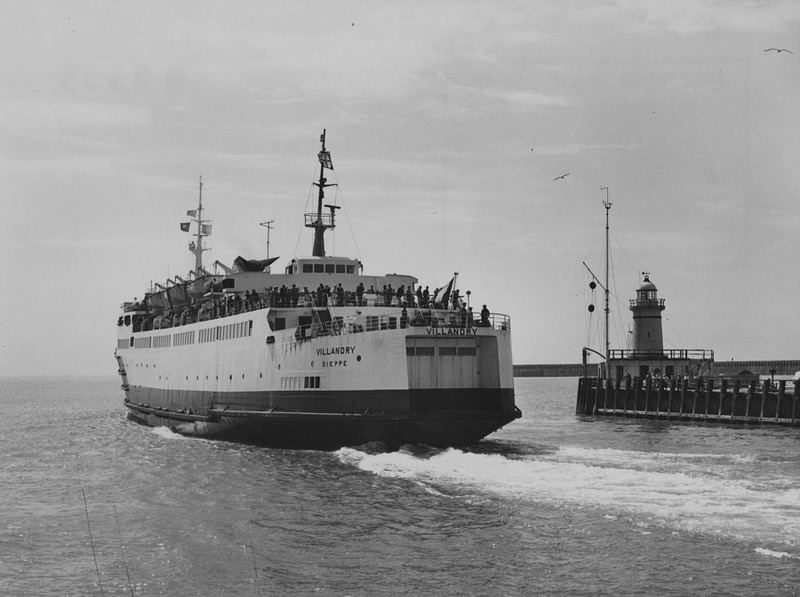 May 1965: Delivered to S.N.C.F., Dieppe, France. 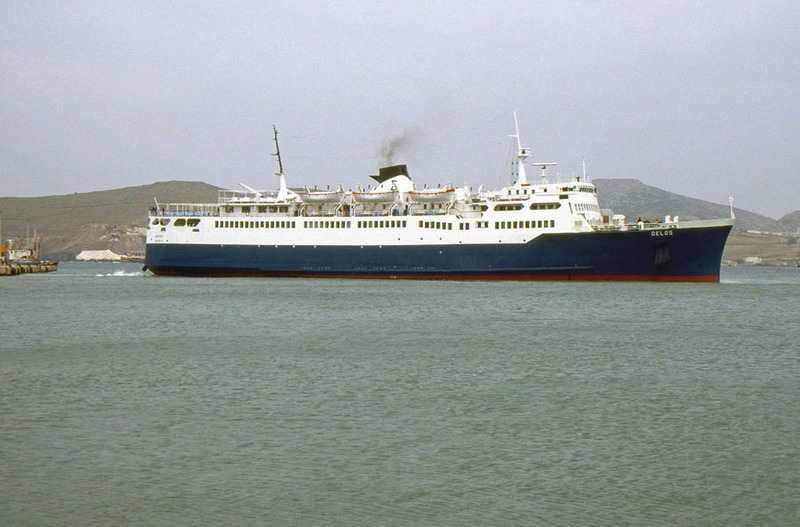 Originally appeared with black hull. 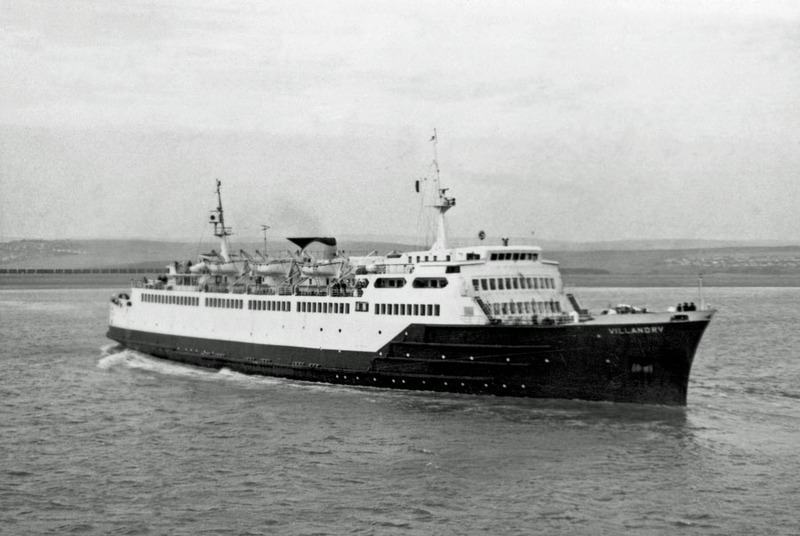 May 16th 1965: Inaugural sailing between Dieppe – Newhaven. 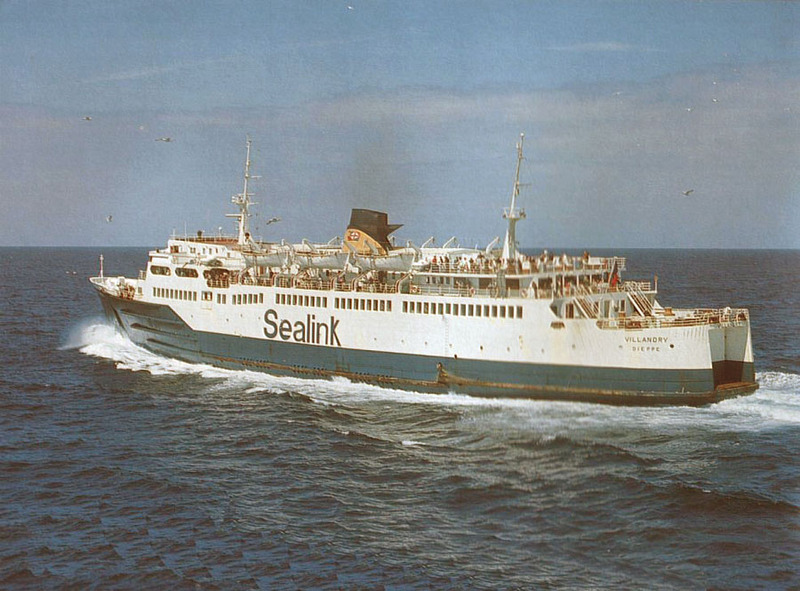 May 30th 1965: Commenced commercial sailings. October 6th 1966 – October 10th 1966: Publicity visit to Pool of London. 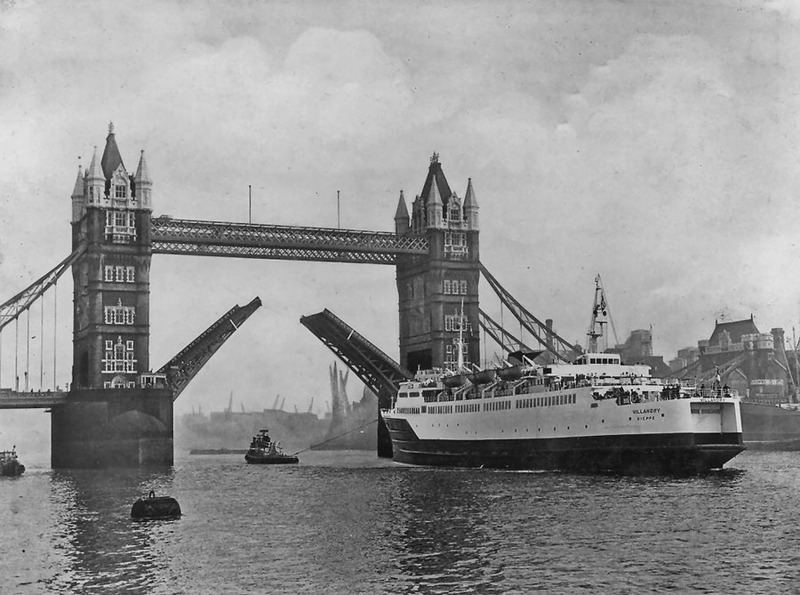 May 1st 1970 – May 2nd 1970: Second publicity visit to London. 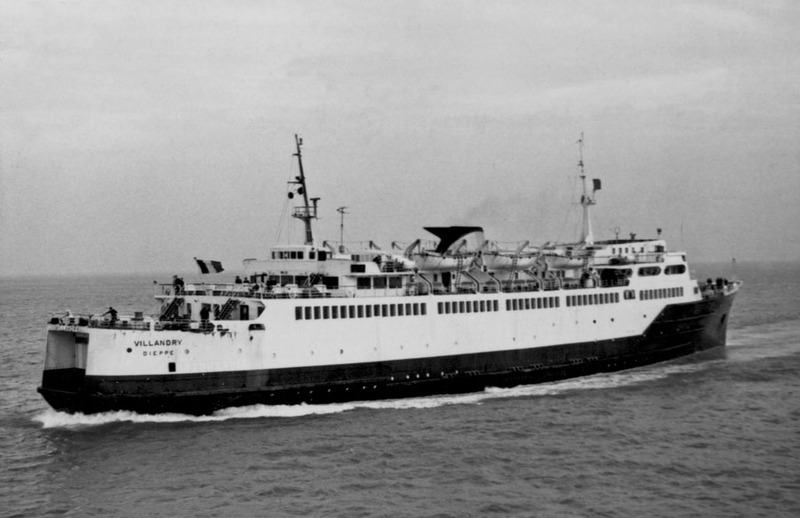 May 9th 1970 – May 11th 1970: Publicity voyage between Le Havre – Jersey – Cherbourg – Jersey – Le Havre. 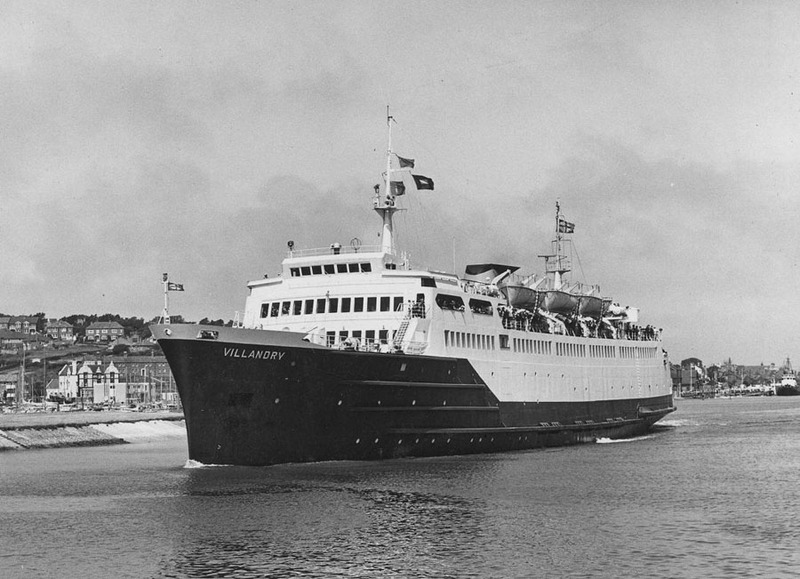 May 1973: Operated 4 Rouen cruises. 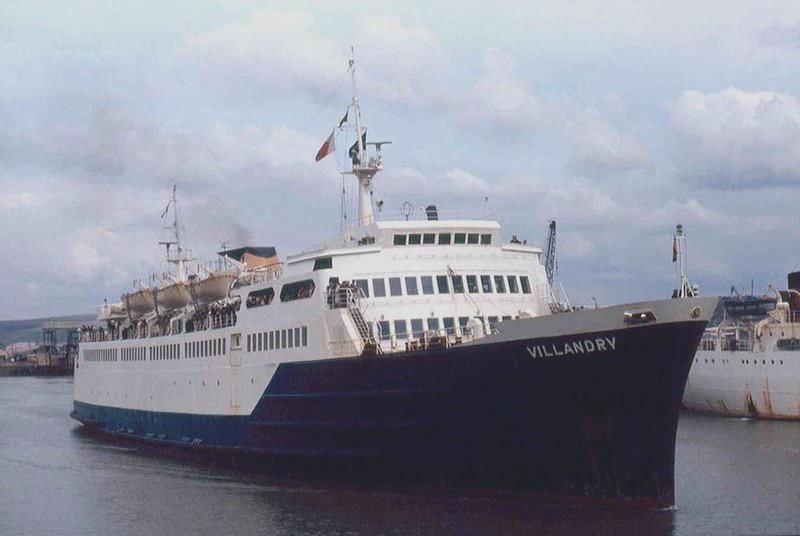 June 1974: Three day cruise to celebrate the thirtieth anniversary of the Normandy Landings. 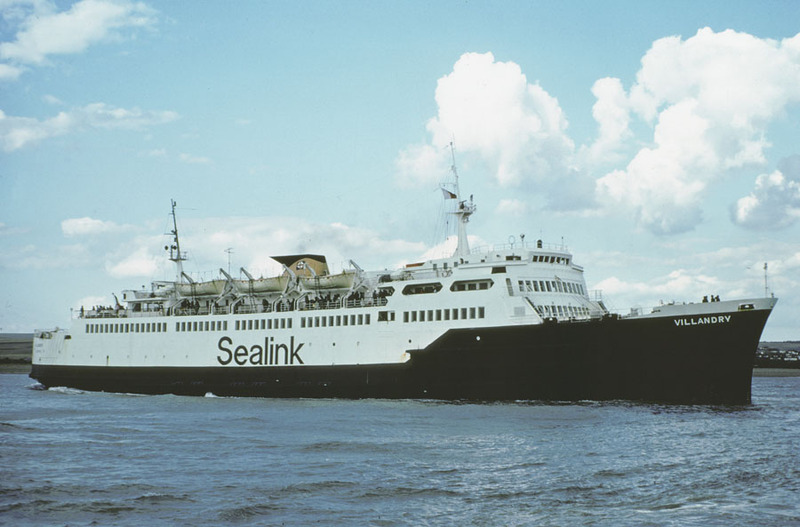 June 1975: Retired from service with engine problems. 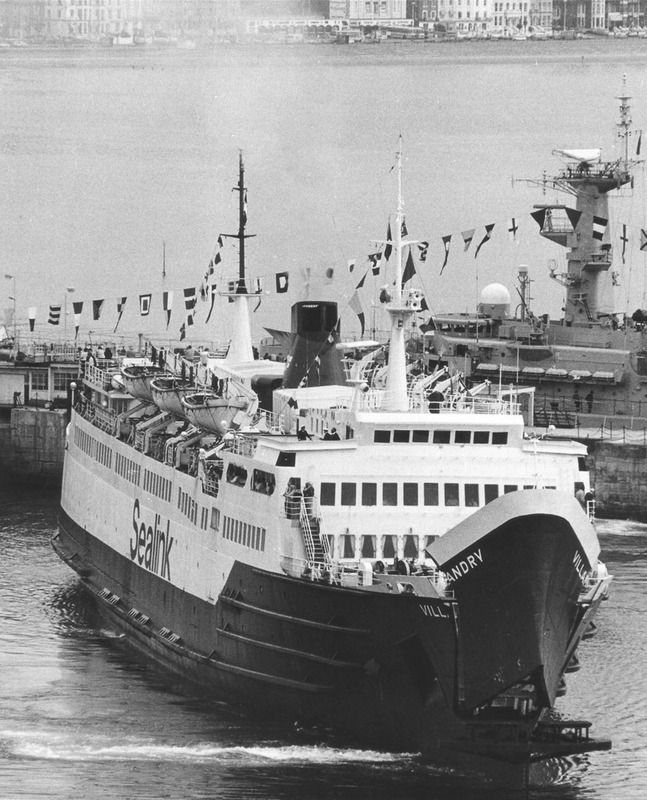 July 1st 1975: Returned to service. 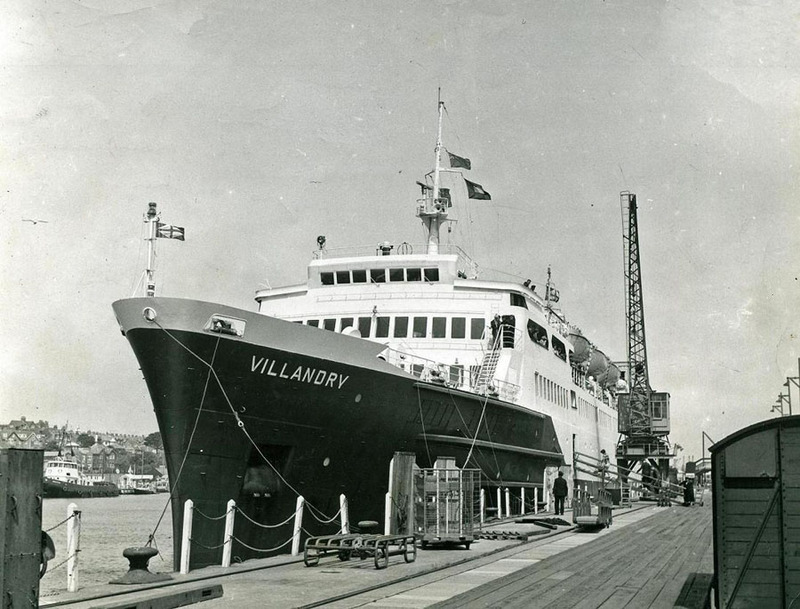 December 1975: Announcement made that both VILLANDRY and VALENCAY were to be “stretched” at Ateliers et Chantiers, Le Havre to cater for the increase of freight lorry traffic. 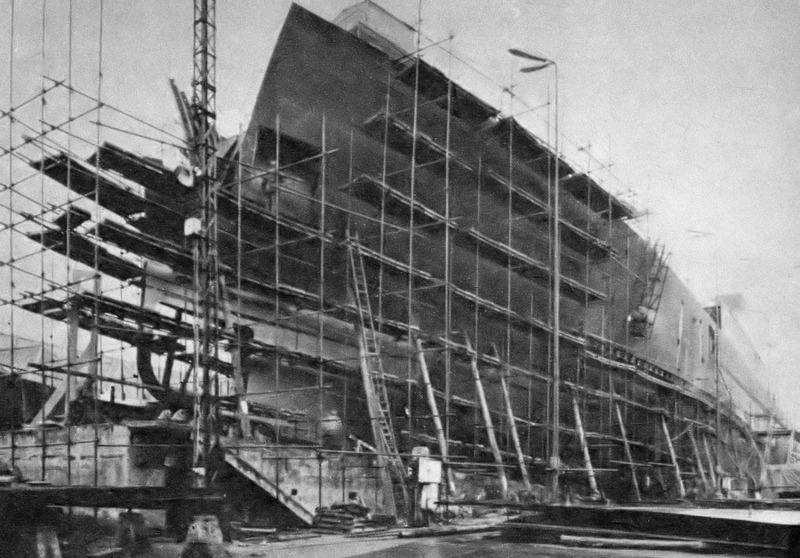 Approximately three quarters of the after end of the ship’s accommodation was cut and raised by 56 cm. In order to give greater headroom for freight on the main vehicle deck below. 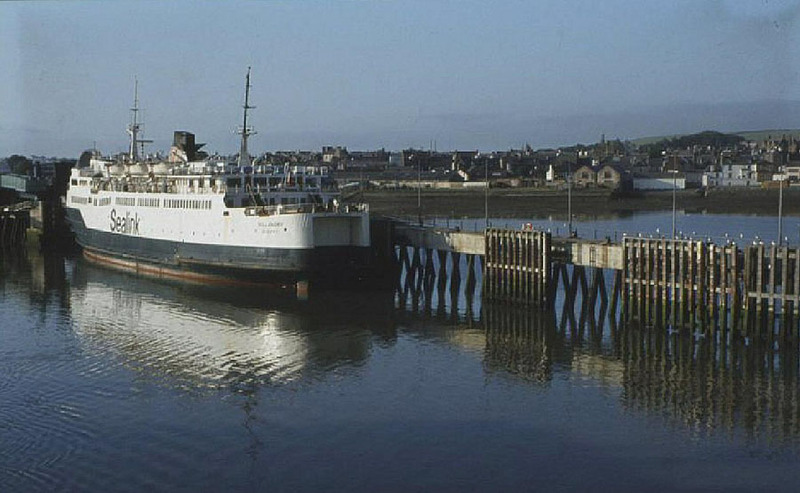 Also at this time they were to be converted to bow loaders and have their funnel tops extended. Thus modified they would be able to carry 20 rather than 10 lorries. 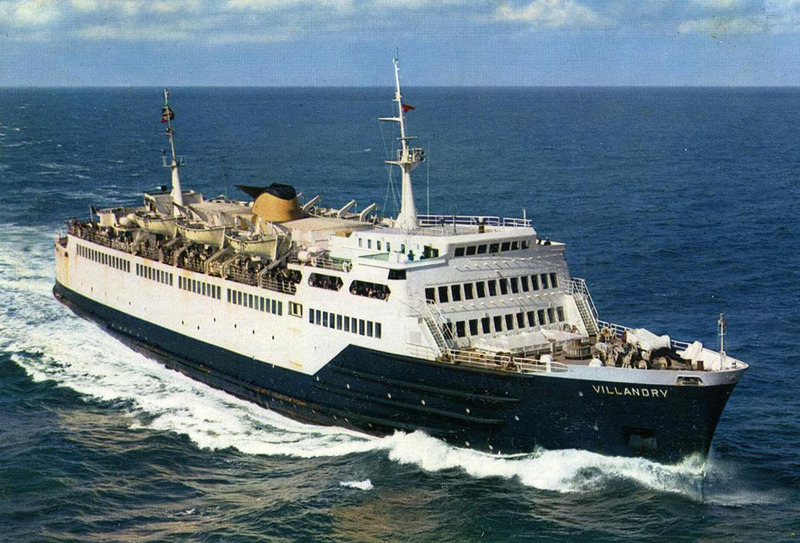 The VILLANDRY was earmarked to go for her conversion during autumn of 1976 followed a year later by her sister-ship. 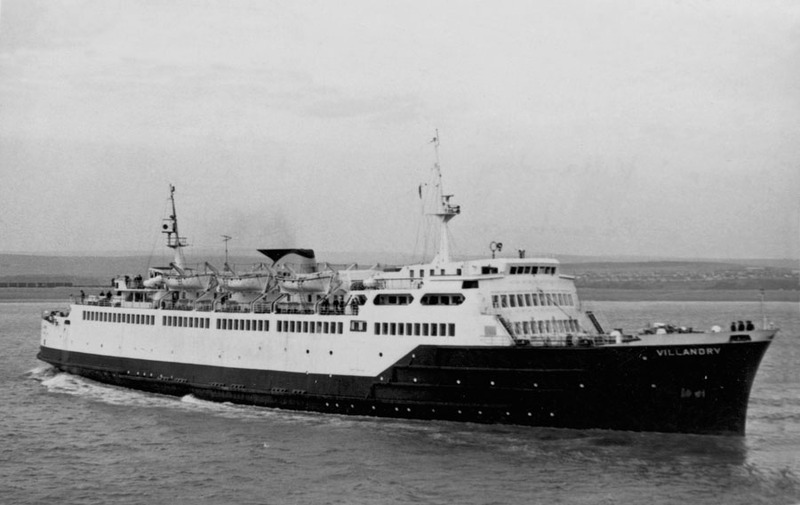 Other alterations included the removal of the vessel’s stern bridges and the extension of their after observation lounges. March 1977: Returned from stretching. 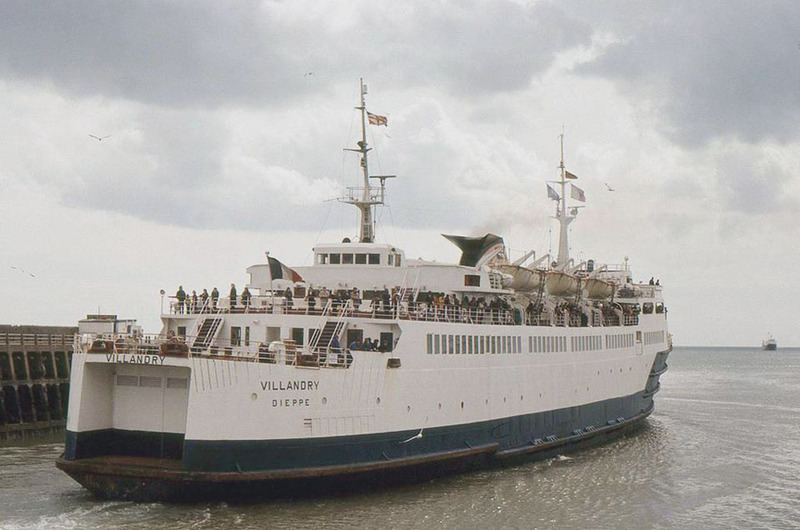 April 9th 1982: Final day in operation between Dieppe – Newhaven. 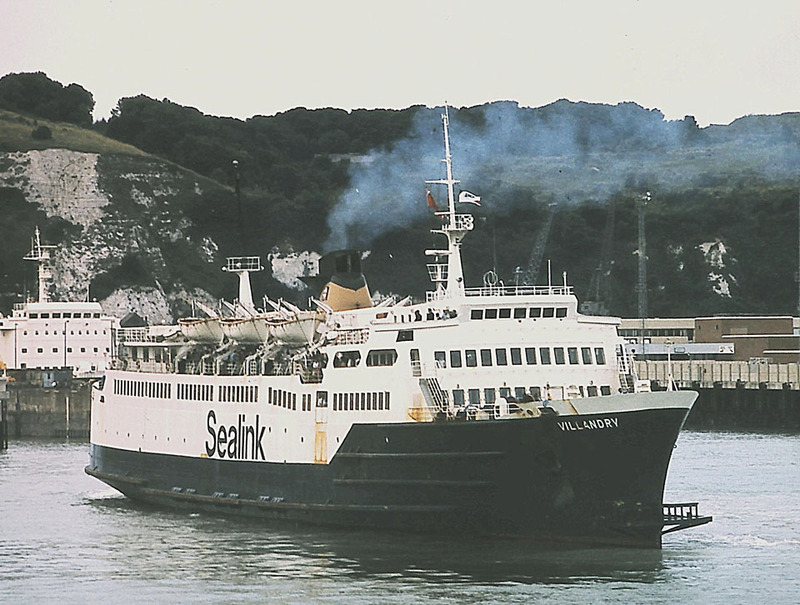 August 1982: Service between Calais – Dover. 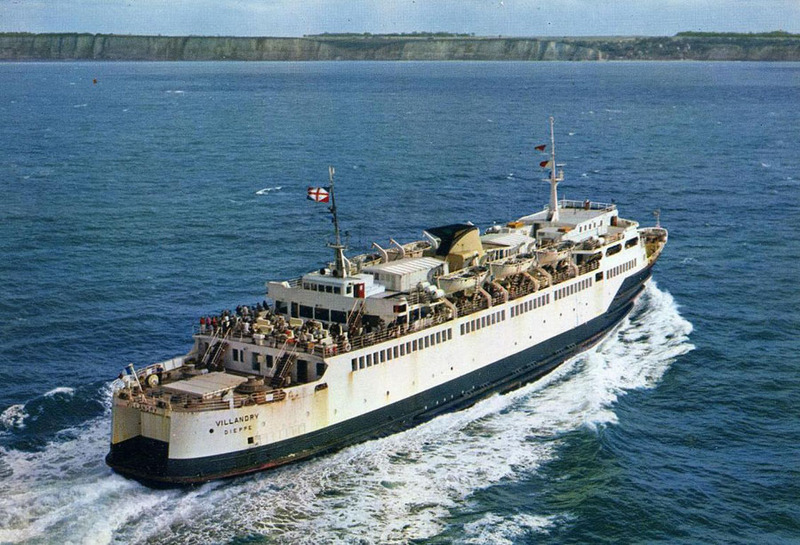 Also sailed Folkestone – Boulogne to cover HORSA which was transferred to Dover to cover ST CHRISTOPHER which had suffered mechanical problems and COTE D’AZUR which had collided with CHANTILLY. 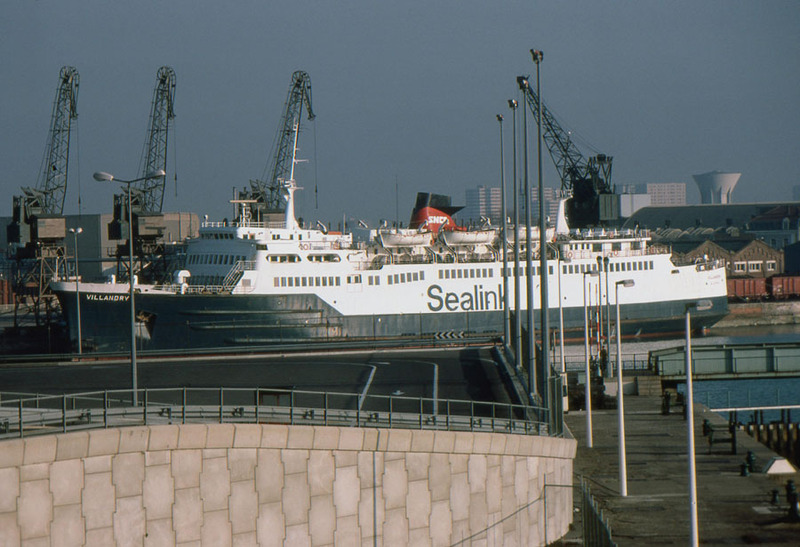 October 1982: Laid up in Calais. 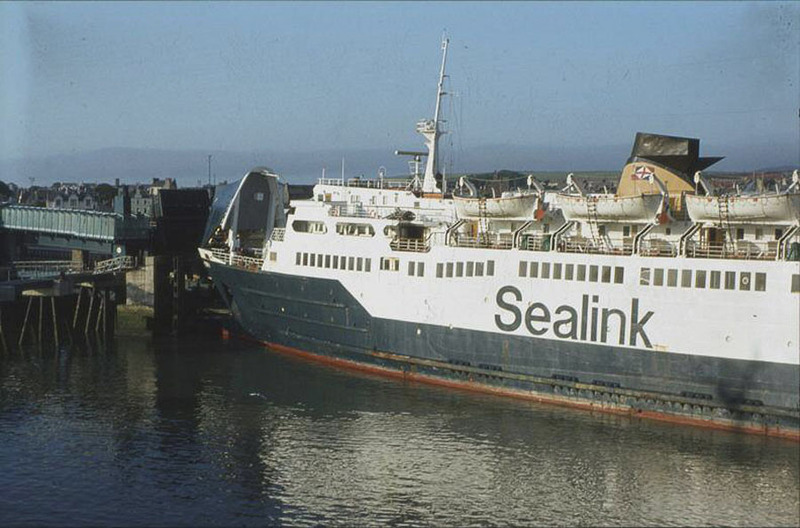 June 24th 1983 – July 8th 1983: Service between Heysham – Belfast. 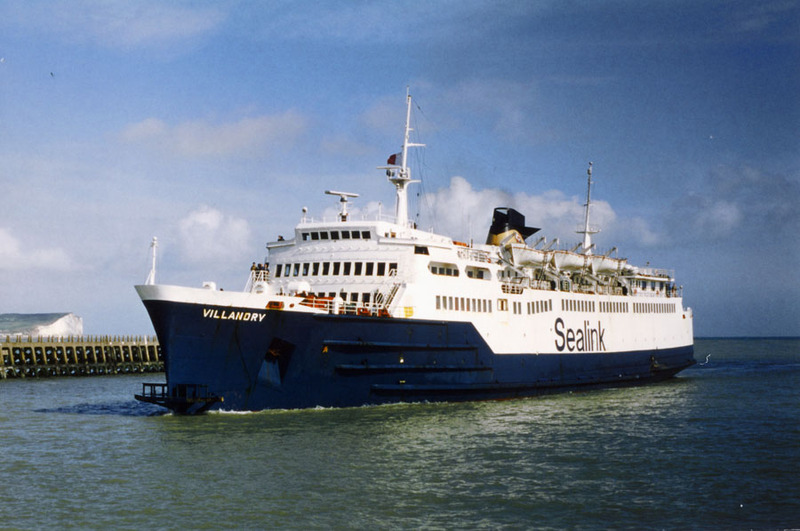 August 7th 1983: Arrived at Holyhead. 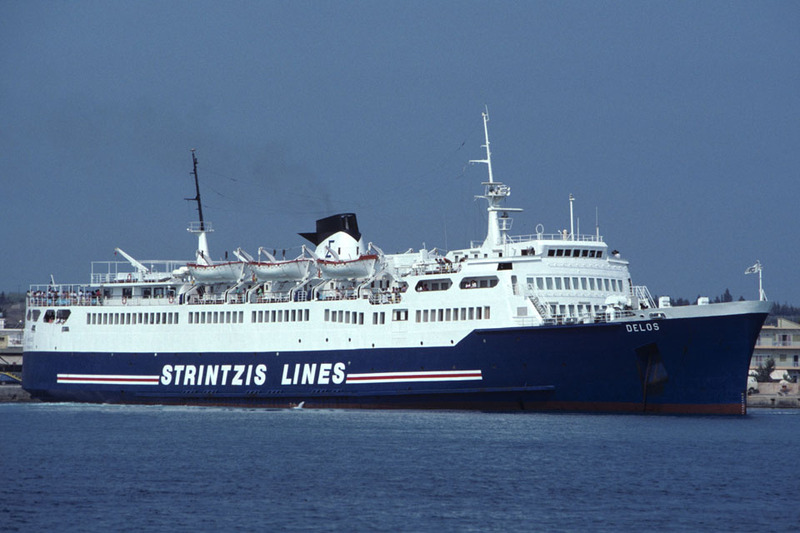 July 1983: Laid up in Calais. 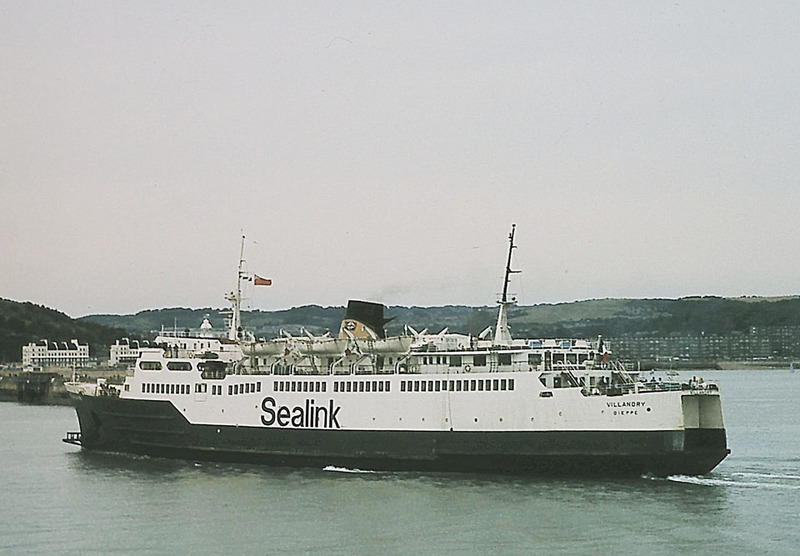 August 12th 1983 – August 13th 1983: Chartered to Sealink U.K. Ltd. For use between Holyhead – Dun Laoghaire. 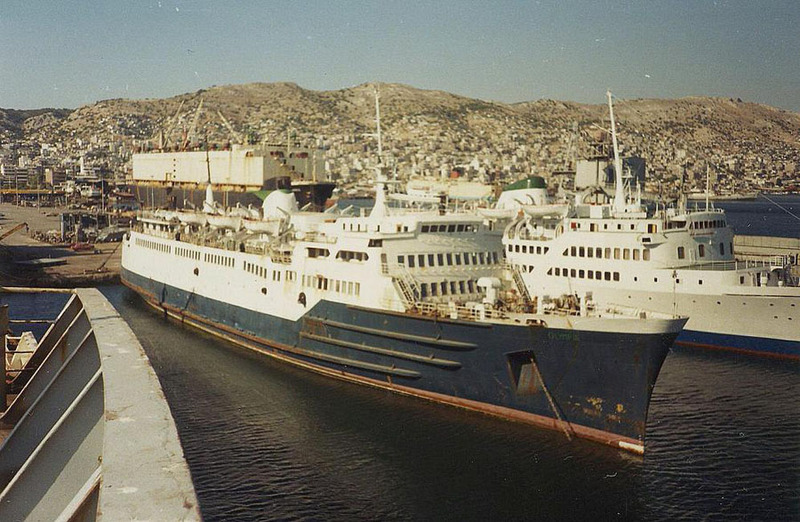 August 1984: Sold to Agapitos Bros., Piraeus, Greece. 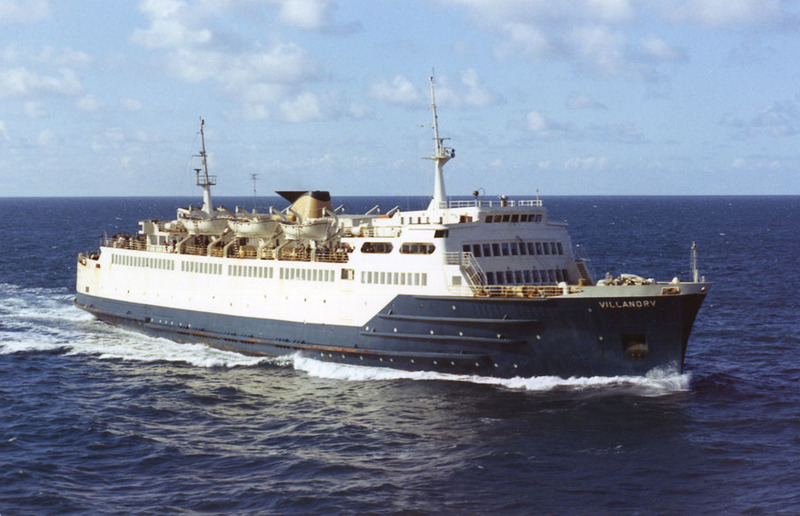 Renamed OLYMPIA. 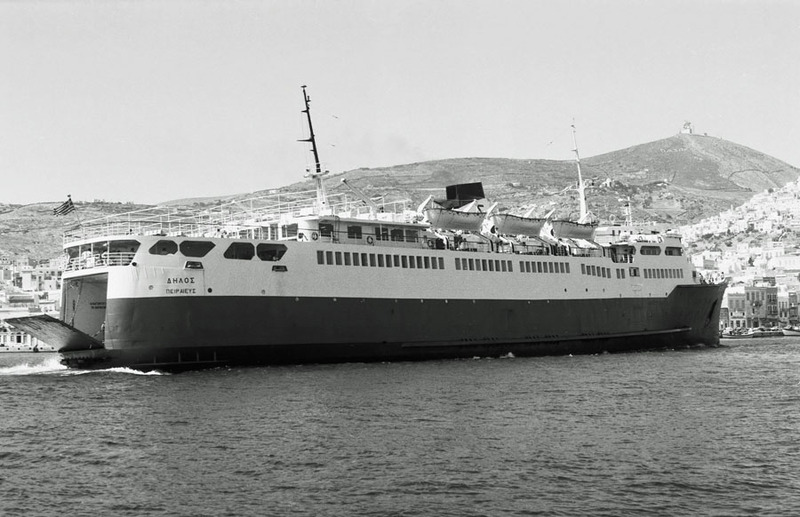 1986: Sold to Ionian Lines Shipping, Piraeus, Greece and renamed DELOS then operating under Strintzis Lines between Killini – Poros. All information is believed to be correct and no responsibility is accepted for any errors or omissions. All items included in this article are subject to © copyright. We would like to take this opportunity of thanking: Aubrey Dale, Brian Fisher, Frank Heine, A G Jones, Ken Larwood, Peter Longhurst, Derek Longly, Justin Merrigan, Matt Murtland, Bob Scott, Jürgen Stein, Andy Stevens and Andreas Wörteler for their assistance in producing this feature. Special thanks go to Jim Ashby and Terry Conybeare.